The match made in squid heaven continues into the summer! A little after Splatoon was first announced back at E32014, fan art by Masahiro Anbe, creator of the manga series Squid Girl, went viral. The pairing Splatoon and Squid made almost too much sense; both the Inklings and Ika Musume (Squid Girl) are humanoid squids whose hair double as tentacles and use their respective ink as a means of attack. Since then, the two series officially came together in a collaboration which resulted in a few awesome pieces of artwork featuring both the game characters and manga heroine. The fun doesn’t end there as Squid Girl’s trademark dress and hat will be making their way into Splatoon this August. This information comes from a tweet of an ad from a Japanese newspaper, so for now this seems to be a Japan-only outfit. Hopefully, western fans will be able to partake in this fun little piece of DLC in the future. 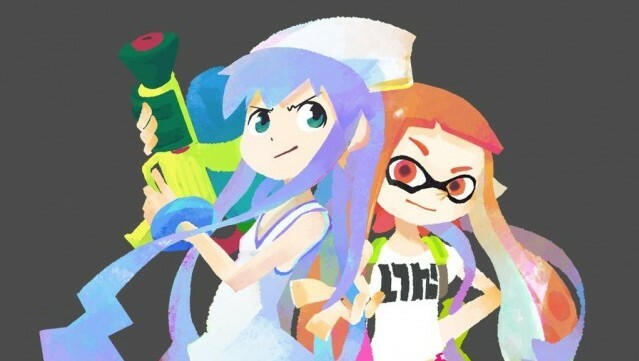 Anyway, does this DLC pave the way for the Inklings themselves to appear in the Squid Girl manga, or even a future animated special? Only time will tell!